It’s true that most climbing accidents happen on the descent. 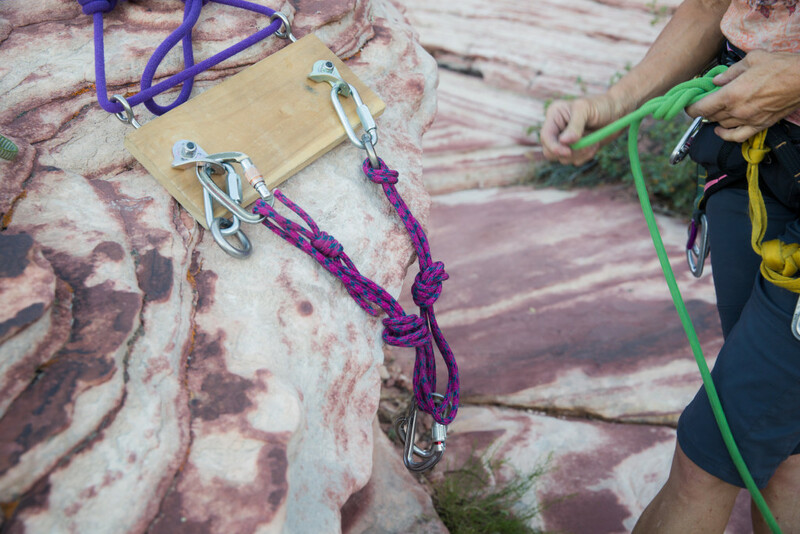 “It’s human error,” said Tracy Martin, an AMGA Certified Rock Guide in Las Vegas. Tracy took a small group into Red Rock Canyon’s Calico Basin to brush up on skills associated with getting down from a climb. 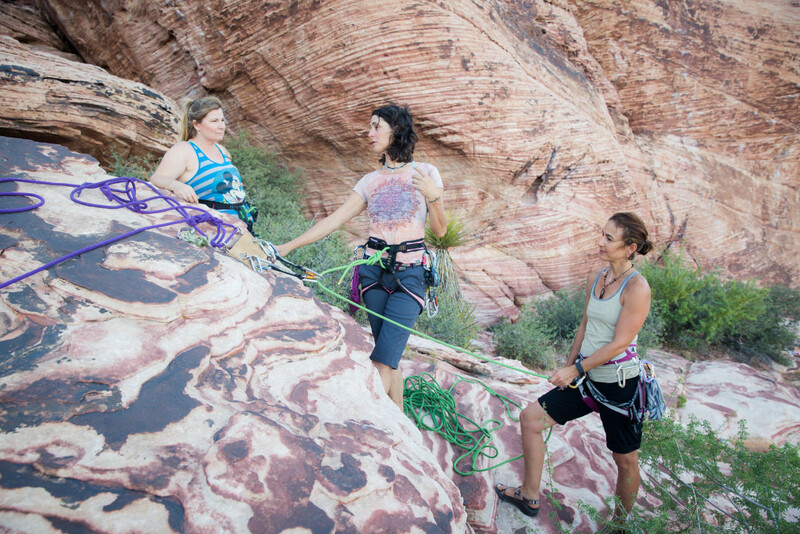 The clinic came out of a conversation during a Rock Climbing Women beer night in Vegas where discussion turned to rappelling. Tracy was surprised to realize some women there didn’t use an autoblock to back up a rappel. So they made a plan to learn together. 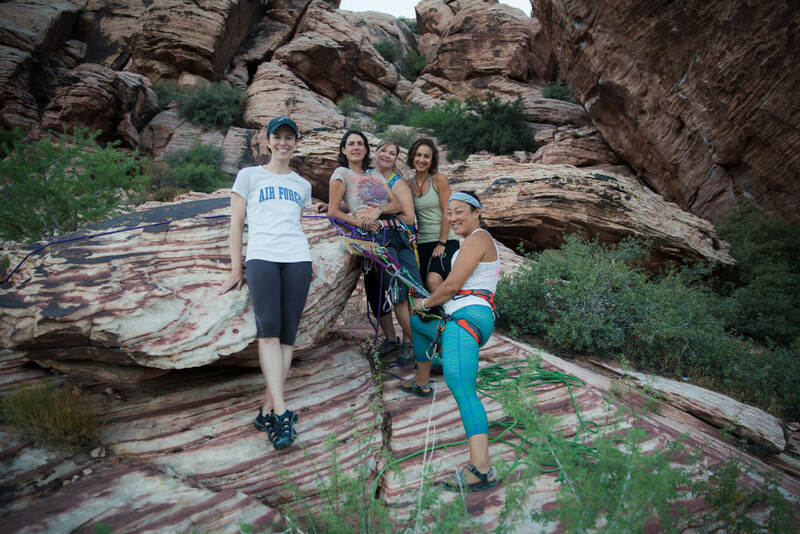 Six climbers joined Tracy at the clinic in June where they practiced setting and cleaning anchors on boulders on the ground, then rappelled horizontally. 1. Slow down. 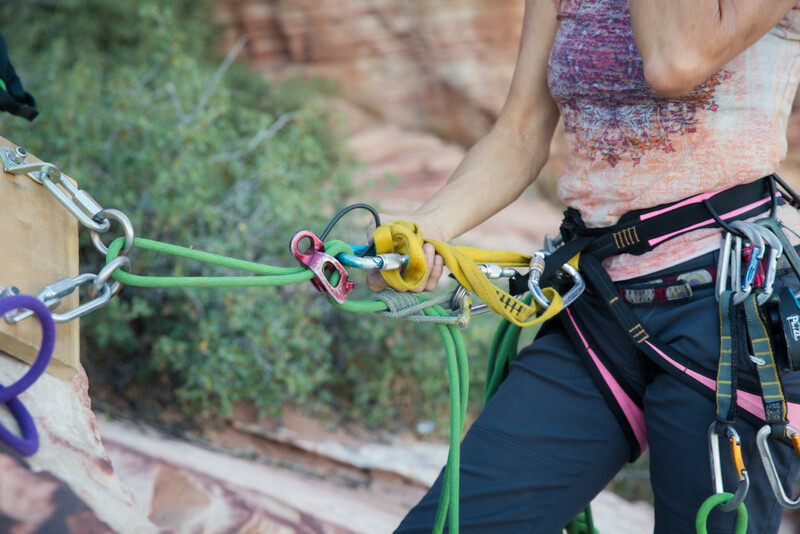 When you’re cleaning an anchor at the top of a climb, setting a rappel or preparing to be lowered, go through the entire process slowly enough to catch any mistakes. The climber should be secured to two points at all times, Tracy said. 2. Communicate. Set a plan with your belayer before you start the climb, Tracy said. Then reaffirm the plan when you reach the top. Accidents happen when belayers and climbers are on different pages, thinking the climber is going to rappel when she’s prepping to be lowered. 3. Ask for help. When it comes to safety, it’s worth it to ask someone who knows more than you, whether that’s a full-fledged rock guide or a mentor who has climbed longer and harder. Tracy recommends getting some instruction on setting anchors and traditional gear and rappelling. There’s no need to feel worried about learning from a professional, even if you’ve been jerry-rigging for years or relying on others to do things for you. For more clinics in Las Vegas, keep an eye on our Facebook page. Have similar resources you’re using where you live? We’d love to hear about it and spread the word!